In need of some Madarao backcountry fresh? Or simply need a Madarao ski guide to show you the best in-bounds stashes? How about checking out some new Madarao backcountry trip options? You’ve come to the right place! Want to hike the Madarao backcountry on a guided tour? The local mountain range lies close to the Japan Sea and includes several high summits, including Myoko, Mitahara, Akakura, Kurohime, Madarao, Mae and Maru. This proximity to the ocean draws in heavy snows – an arguably weak point that is however more than made up for in the sheer volume that falls. It’s not uncommon to witness a metre of fresh fall in one night, so those heading off-course are encouraged to pay close attention to the weather and avalanche signs. Short hikes allows access to some great backcountry treeline terrain with varying slopes and aspects. The peak of Mt Madarao is on 1340m high so best to head here mid storm (with a Madarao backcountry guide) to get the best conditions. With easy hike access, steep entry zones, consistently deep mid-season snow packs, wonderful continuous pitch through evenly spaced trees for upwards of 700 vertical metres and smile-inducing magical scenery the Madarao backcountry creates a special off-trail riding environment that every Madarao backcountry snow slider will appreciate. 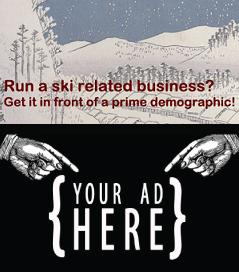 Nozawa Onsen backcountry tours info here! 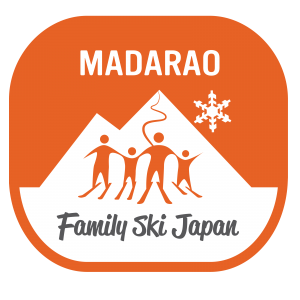 Destination Madarao Kogen is pleased to be able to help offer group and private backcountry tours in both Myoko and Madarao. These are run by locally owned and operated operations with experienced Madarao backcountry guides. 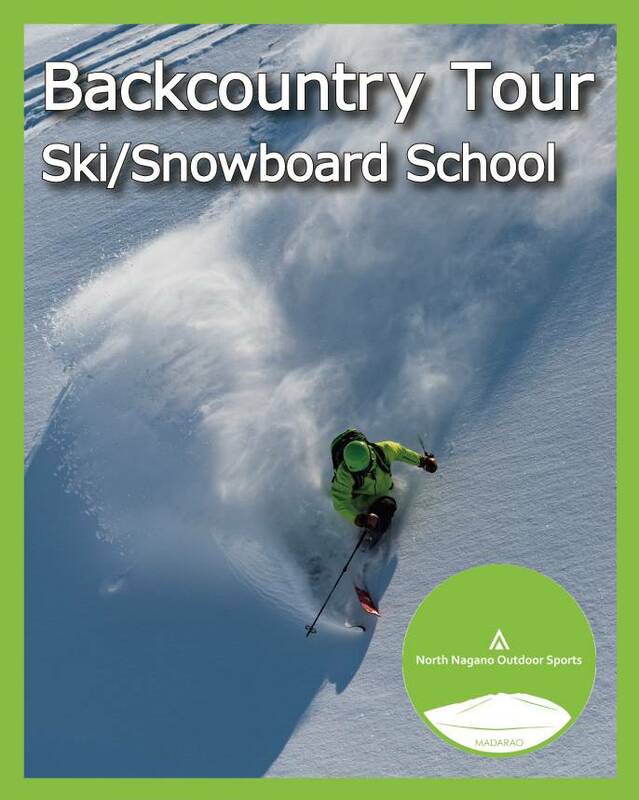 Enjoy fun off-piste and backcountry ski tours in Madarao Kogen via North Nagano Outdoor Sports! 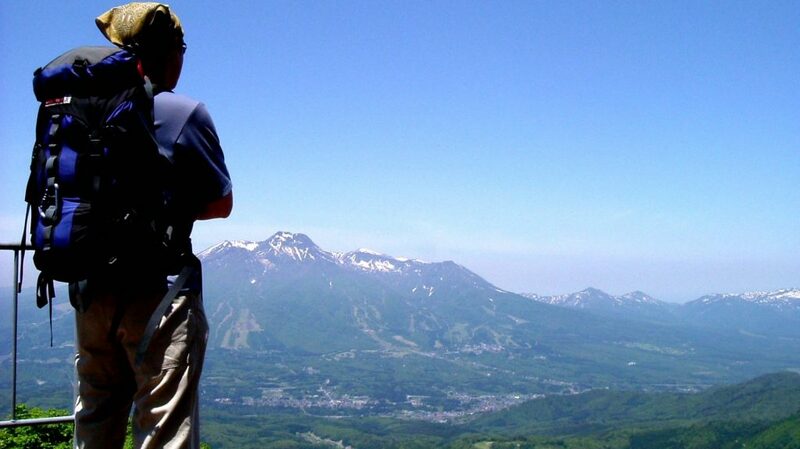 Madarao Kogen Backcountry tours are aimed toward enjoying the natural landscape of Mt. Madarao through skiing and snowboarding. There are several paths leading up the mountain and hiking up to the top takes around 20 minutes – perfect for beginners. From the top of the ski lift skiers hike to the very top of Mount Madarao. From there you’ll experience a fun back country ride with a tree course and natural half pipe as well as an encounter with ‘Tarzan’ and ‘Big Rock’! Your experienced local Madarao ski guide determines the best course of the day by checking out the snow conditions every morning. 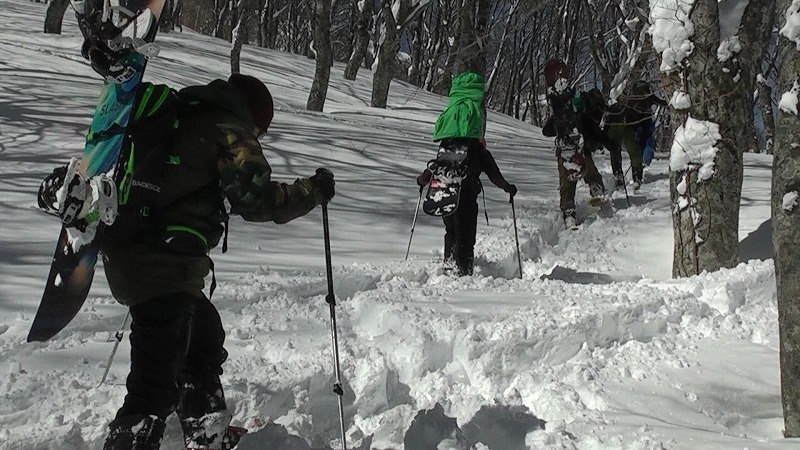 Madarao Mountain has plenty of north face and guests can expect a high quality of powder snow almost every day. However please understand there can be sudden course changes or suspension due to inclement weather. Private Madarao backcountry tours are also available – fully customisable to suit your riding ability and physical fitness. 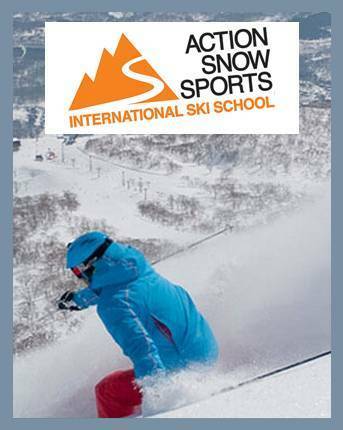 Ready to book your Madarao ski guide? Fill out the enquiry form to start! Form not working? Contact us here. Madarao Backcountry Tours run 8:30 ~ 12:00 but may vary due to lift operation circumstances. The price does not include lift ticket, lunch or insurance. Please ensure your travel insurance will cover any circumstances that may occur during your tour.